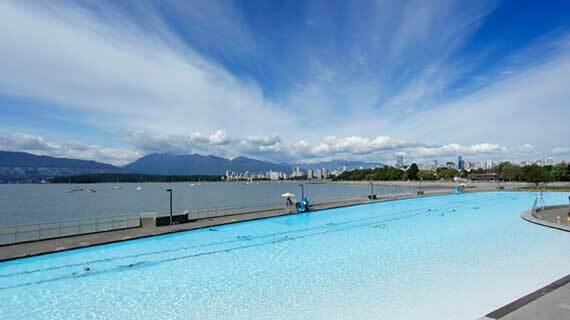 Kitsilano is home to one of the most popular beaches in the Vancouver area. It is also home to two vibrant commercial areas, West Broadway and West 4th Avenue. Kitsilano is conveniently accessible with Broadway, West 4th Avenue, and Burrard Street quickly connecting you from downtown to Richmond, and from UBC to East Vancouer. The B-line bus also offers express bus service between UBC, Broadway City Hall Canada Line station, and Broadway-Commercial SkyTrain station. Several bike lanes are also conveniently available for those short grocery trips, or to access the Stanley Park seawall just a quick hop over the Burrard bridge. With two busy business corridors running right through the community offering a wide variety of shops and services, Kitsilano is one of the most walkable neighbourhoods in Vancouver. From the boutique fashion shops along West 4th, to the fine delicacies along Broadway, there is no shortage of shopping and dining options in this community. Where to even begin? With Lululemon calling Kitsilano home to its corporate headquarters, they picked one of the best communities for being active. Just a short walk to the North, you're at Kitsilano Beach. On a sunny afternoon, you can see a number of runners and cyclists along the sea wall here. In the summer, you can also play beach volleyball on the sandy beaches, or take a dip in the longest pool in Canada. A little bit more closer to home, the area also has a countless number of fitness and yoga studios for those too familiar rainy days in Vancouver. In the Kitsilano Community Center, you can always drop in for acitivities and classes organized by the city, or go for a skate in its indoor ice rink. That's all within 15 minutes walk from home!